​Supporting health through diet and lifestyle. 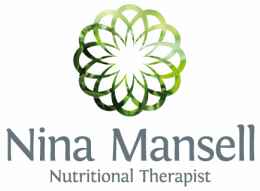 I'm a qualified Nutritional Therapist and I'm passionate about helping you to make positive changes in your life. Maybe you've been struggling with a chronic health condition and are looking for support in managing this, or maybe you're looking for ways to enhance your general health and wellbeing. Maybe you want to lose weight, sleep better, improve digestion, feel less anxious, or have more energy. Whatever your goals, I am keen to work with you to devise a personalised, bespoke plan to address the issues that are important to you. Making small changes to your diet and lifestyle may lead to big changes in your health. I aim to work with you holistically, considering all aspects of health - physical, mental, emotional and spiritual. ﻿"To ensure good health: eat lightly, breathe deeply, live moderately, cultivate cheerfulness, and maintain an interest in life." I believe that everyone is unique and what works for one person may not work for another. My approach takes into account the whole person and seeks to uncover the underlying root cause of illness, rather than merely treating the symptoms - sticking a plaster on a blister will only provide temporary relief if the real issue is that you need to buy a new pair of shoes. Please call, email, or click on the button below if you'd like to book a consultation or have an initial chat about your health concerns.